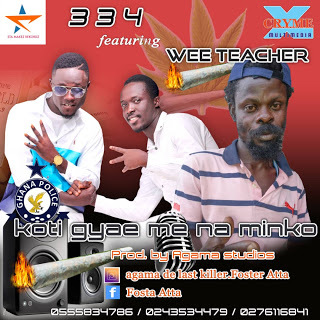 Starmakerz recordz duo 334 collaborate with Wee Teacher to present "Koti Gyae Me Na Minko", a tune produced by Agama Studios. 3y3 Cfr3! The street is about to witness a banger.